It seems that more and more lakes are being reported as shrinking or drying throughout the entire world. Poyang Lake, the largest freshwater lake in China, is one of them. Main reasons include diversions from the Yangtze River, a prolonged dry season, and industrial activities. In order to minimize the impact of seasonal fluctuations, the images used in the slider were taken roughly around the same time of the year. 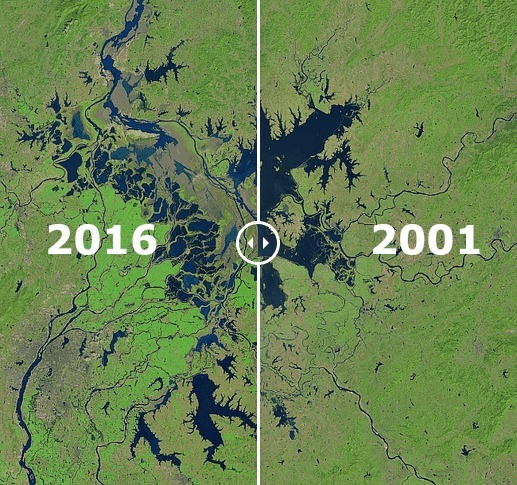 The “before” image is from October 9th, 2000, while the “after” image is from September 27th, 2016, both provided by the Landsat 7 and Landsat 8 satellites. Move the slider over the image to see the changes. Lake Poyang provides a habitat for half a million migratory birds, and is a favorite destination for migrating Siberian cranes, up to 90% of which spend the winter there. 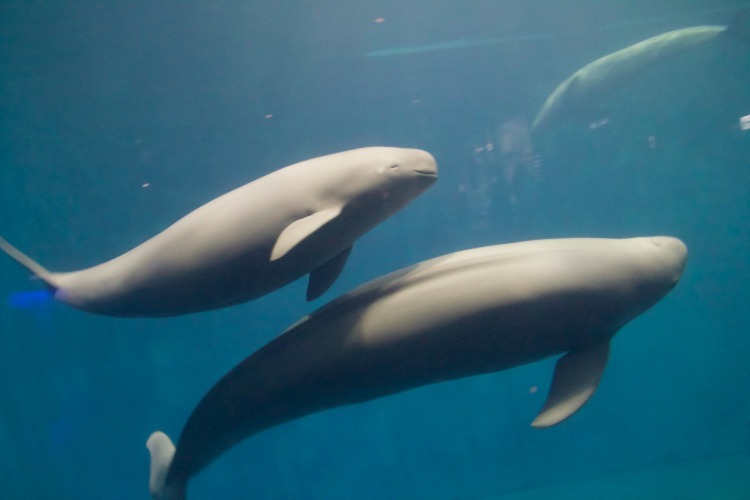 It is also home to the endangered finless porpoise, known locally as the “jiangzhu” (which means “river pig”), a freshwater mammal known for its high level of intelligence. For the finless porpoise, the current rate of population decrease would likely mean extinction by the year 2025. Last year, the Chinese government moved 8 of them from the Poyang Lake to two secure habitats in an effort to increase the population. The finless porpoise. Photo credit: foooomio on Flickr. The lake undergoes massive seasonal changes in water level, and has been recorded to cover 4,500 square kilometres (1,737 square miles). However, in recent years, the surface area of Poyang Lake reached as low as 200 square kilometres.